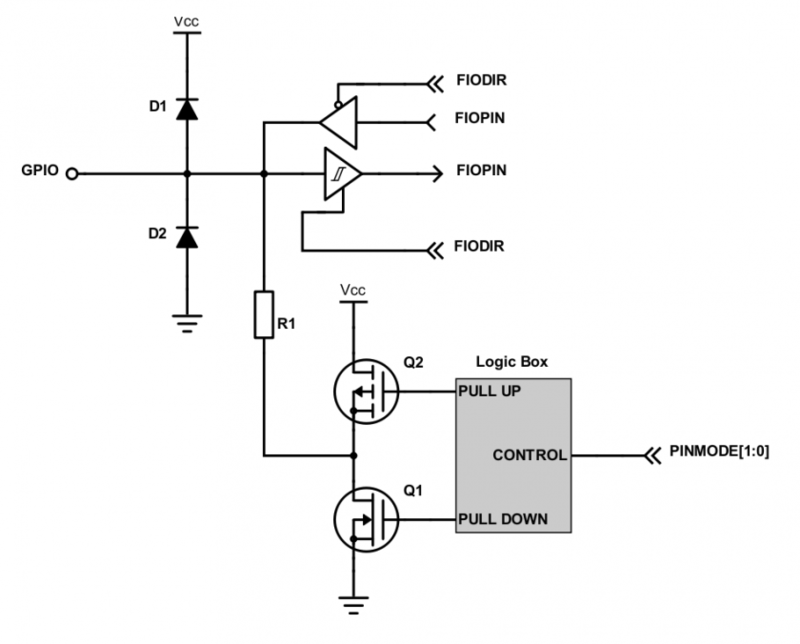 To be able to General Purpose Input Output (GPIO), to generate digital output signals and to read input signals. Digital outputs can be used as control signals to other hardware, to transmit information, to signal another computer/controller, to activate a switch or, with sufficient current, to turn on or off LEDs or to make a buzzer sound. Below will be a discussion on using GPIO to drive an LED. No hardware damage if faulty firmware is written. Circuit should prevent excess amount of current to avoid processor damage. Fundamentals of electricity such as Ohm's law (V = IR) and how diodes work. 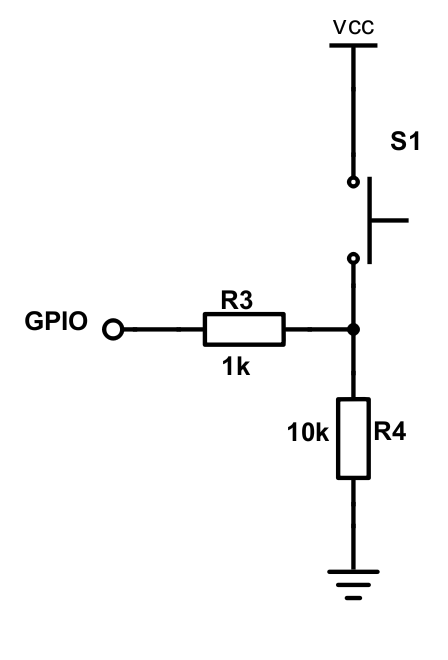 GPIO stands for "General Purpose Input Output". Each pin can at least be used as an output or input. In an output configuration, the pin voltage is either 0v or 3.3v. In input mode, we can read whether the voltage is 0v or 3.3v. You can locate a GPIO that you wish to use for a switch or an LED by first starting with the schematic of the board. The schematic will show which pins are "available" because some of the microcontroller pins may be used internally by your development board. After you locate a free pin, such as P2.0, then you can look-up the microcontroller user manual to locate the memory that you can manipulate. We will interface our switch to PORT0.2, or port zero's 3rd pin (counting from 0). Note that the "inline" resistor is used such that if your GPIO is mis-configured as an OUTPUT pin, hardware damage will not occur from badly written software. We will interface our LED to PORT0.3, or port zero's 4th pin (counting from 0). Given below are two configurations of an LED. Usually, the "sink" current is higher than "source", hence the active-low configuration is used more often. * and resetting to 0 will turn OFF LED.